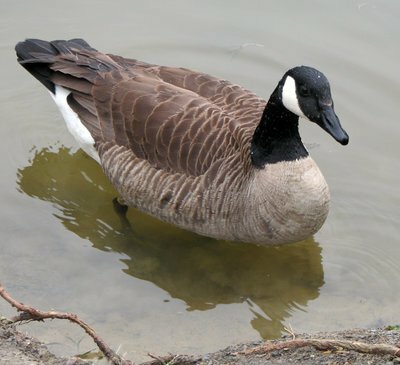 Since noise guns and dogs have not worked to rid North Hempstead of Canada geese, the town is moving to have the local geese population euthanized and the birds' meat sent to local pantries. Canada geese are a nuisance in many parts of Long Island, but one particular town has proposed a final and controversial measure for ridding the area of geese. After trying noise guns and dogs to scare off the invasive species of goose, North Hempstead officials have decided that the best way to get rid of the geese would be to euthanize the local population. The most prevalent complaint from the residents of North Hempstead regarding the approximately 600 geese that have settled in the town is that the geese take over areas and dirty parks, sports fields, and waters with their droppings. "Noise guns and dogs -- it treats the symptoms, but not the problem," said Kevin Kelly, the town's deputy commissioner of parks and recreation in a comment to Newsday. "The only way you can really remove geese from your parks and fields, especially now when they're coming in epidemic proportions, is to literally remove them." Though the town board has approved the plan, wildlife specialists from the U.S. Department of Agriculture must first survey the parks of North Hempstead to make sure that the town has tried other measures to remove the geese before resorting to euthanasia. If the USDA decides that North Hempstead officials have done all that they could to attempt to get rid of the geese, they will permit the town to use carbon dioxide gas to put down the Canada geese. After euthanizing the geese, the birds will be processed and the meat will be sent to local food pantries. If approved by the USDA, the euthanizing will be handled by the USDA’s Animal and Plant Health Inspection Service Wildlife Services. The town will pay them $8,602.71 for the service, and an extra $6 per goose for the cost of processing its meat. Local activists are attempting to halt the plan as they call for more humane methods used to discourage geese from settling in the area. Subject: LongIsland.com - Your Name sent you Article details of "North Hempstead Approves Plan to Euthanize Canada Geese"